Foam roller exercises for your iliopsoas muscle will enhance your body-mind connection through self-myofascial release. The iliopsoas is perhaps the most poorly understood muscle! In this article I focus on the iliopsoas muscle complex. It is indeed a complex group of muscles that are often called the "hip flexors." If you first read my article called Foam Rolling it gives you an overview of body rolling on a foam roller. It tells you how you can perform a very simple and easy technique called self-myofascial release through foam roller exercises. Self-myofascial release is a process for rolling out muscles knots and keeps your muscles healthy and supple. However, foam rolling is more than physical. If you read Foam Rolling, you will better understand the benefits from a body-mind awareness perspective. Foam roller exercises can be a wonderful way for understanding your body. The body-mind connection is strong and learning to listen to your body's message is important if you are to find healing of your problem areas. When you roll your body and release the tension of your muscles, this will often bring about an emotional release as well! As you breathe deeply and become more aware and focus on the areas of soreness, you can make the process of the foam roller exercises more meditative. This is a way to fully feel the stress in your body, and allowing it and the emotions to be released. This is what I like to call "feel it and heal it!" If you deny that emotions affect your body, you will always be a slave to its pain! This is a very important point to understand when it comes to body-mind-soul healing! The body and mind are connected! If you don't yet have a foam roller, my recommendation is to purchase the longer one, 36 inches by 6 inches in diameter. The longer one is easier to roll on if you are a beginner. It is the only size I use, and it is the type shown in all my foam roller exercise videos. The best type of foam roller is the textured model, usually of EVA high density construction. This type is difficult to find in the local sporting goods store and has a soft, textured outside, that performs on the yoga sticky mat better by providing better traction as you roll. You can focus on the action of the rolling, instead of focusing on staying on the roller and yoga mat! The iliopsoas muscle is the muscle that bends the hip, by lifting up the knee and the thigh to take a step forward. Its main action is to flex the hip, or sometimes described as flexing the thigh. When you go up the stairs, the hip flexors work harder. Any physical activity that involves the leg uses the iliopsoas muscle. Cyclers, runners, hikers and power walkers often have tight hip flexors. The iliopsoas is also involved in maintaining the body in an upright position in both sitting and standing postures. The iliopsoas muscle is active during sitting and standing. Prolonged sitting, or contracting the muscle for long periods of time often leads to the shortening of this muscle and can cause pain in the lower back or hip. As this condition worsens, pain may become worse and refer down the leg. If left untreated, the problem may not be easily reversed. A perfect reason to stay very body-aware at all times by listening to your Body Window! If you are required to sit for prolonged periods of time I encourage you to stand up and do simple iliopsoas stretches and back stretches at least every 30 minutes. It only takes a few seconds. The relaxation and the blood flow created will rejuvenate your total body, mind and soul and prevent issues with the iliopsoas! Your body is a wonderful tool for developing your intuition. In the English language, we use body metaphors for so many things, to describe our truth, without realizing it. The action of the hip flexors is a powerful forward movement. The metaphor for life is about moving forward, or taking steps forward or the fear of moving forward. It involves big, powerful steps and is about support and maintenance of the body’s posture. The iliopsoas is deep inside the hip and lower back. Chronic tension in these muscles are due to issues deep in the core of your being, deep in your soul. When you practice my iliopsoas foam roller exercises, always reflect on the message your own muscles may be bringing to you. Learn about your own body metaphors and what they may mean for your life. While I am doing my iliopsoas foam roller exercises, I continue to remind myself to slow down. I meditate on balance, and going with the flow of life, as I work this muscle. I breathe and focus on the concept of 'God’s time' instead of my own rapid and forced time! God moves at the speed of the Universe, so if I force it, I miss out on a lot! You too, if you take the time, can learn to develop intuition on your foam roller! In your healing arsenal, understand the importance of positive affirmations to help you with this complex hip muscle group . Affirm that that you have plenty of time for all that is important to you. Affirm that you are balanced in all things! Affirm that God/the Universe supports you, whether you are letting go and moving on, or if you are forceful soul who pushes too hard! Use your intuition to create your own affirmations that have meaning to you regarding the hip flexors! If you look at any image of the iliopsoas complex, you can see why the following foam roller exercises that I will show you target muscles that look like they are in totally different areas. It is because the muscle is two muscles, not just one. The front of the hip or the iliacus muscle is targeted as well as the attachment of psoas muscle above the hip on the back where it attaches to the lumbar spine. If you have lower back pain, and are using foam roller exercises as back pain exercises, please proceed with caution! Do not roll over the spine, but stay in the soft tissue and maintain the posture shown in the following video. Do not twist or turn as you do the foam roller exercise at the lower back area! Make These Foam Roller Exercises Personal! With any foam roller exercises you can vary the pressure you place on the muscle by how far you sink your weight into it. With the iliacus, or the front side of the hip you can even roll to one side to increase the pressure on that side, or lessen the pressure by rolling both hip flexors at once. Always foam roll both sides. You will learn to find your own edge, where the pressure is sufficient to be therapeutic, but is not too much. You can start rolling on a slightly different spot each time, by adjusting your weight to the left or to the right more, or up or down more. I encourage you to use your own intuition on where to move and how to move. No one formula is best for all! When you do the foam roller exercises, you will learn quickly where your muscle tension lies, as you hit the muscle knot. Your automatic response is to hold your breath which further tenses the muscle! This is the opposite response that you want. Pay attention to your breath and only put as much pressure on the sore spot that you can continue deeply breathing. This is the secret to body-mind-soul foam rolling. Just like yoga, you must learn to breathe into the stretch, into the pressure to allow the muscle to relax. Deep breathing stimulates the relaxation response in your body, so the muscle can release. Keep holding the pressure on the sore muscle knot, breathing all the time, until the muscle finally lets go. This is the catharsis that you are waiting for! Always proceed slowly with your foam roller exercises. Too vigorous rolling may cause bruising. If this happens you are not moving intuitively, nor are you listening to your body. Learn to listen to your body, notice the sensations it has when you do the foam roller exercises. Tell the area you are working on to relax. Tell your body it is OK and safe to let go. Just breathe deeply and let go. If you have any issues with the vertebrae or nerves of the spine DO NOT perform these foam roller exercises! Please review When Pain is a Medical Emergency and do not perform these exercises if you have severe pain in your back. For the ililacus component, if you are a woman, place the foam roller at the top of both thigh muscles. Roll upward to the top of the hipbone. Use short up and down rolling movements, stopping at any sore spots as described above. Go slowly and meditate on the movements and feel them deeply. If you are a man, you will have to shift your body weight to one side only, to avoid rolling over your sensitive areas in the middle! Women, we can keep the pressure even on both thighs, or to get into one side deeper, put all your weight on one side only. Roll the left side and don’t forget to do the opposite, right side too. For the psoas component, place the foam roller under your lower back and roll slightly to your left side. Position your body weight so it lands on the foam roller, immediately to the left of the spine. As you lean back, place the weight of your upper body on your left elbow. Lift your left knee, and with your right hand grasp under the left knee. Roll slowly up and down the muscle that runs along the spine in small movements. Avoid twisting your spine as you roll, but rather keep it straight as you move. Avoid rolling on the spine itself. Roll both left and right sides. If this movement feels safe, you may increase the pressure and the iliopsoas stretch, by raising the left leg up straight as you roll as shown in the video. You can do a follow-up iliopsoas stretch by watching this video and doing the first two of the movements. Really sink into the stretches. 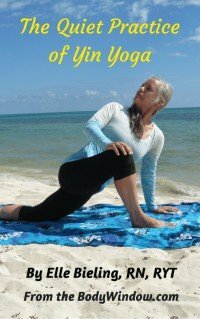 You can also follow up with more iliopsoas stretches by doing yoga stretches for the iliopsoas like the Crescent Pose and the Standing Foward Bend Pose. For a deep hip flexor opening of the illiacus portion of the illiopsoas muscle, Yin Yoga has the Dragon Pose, a long-held pose that will really counter act the effects of sitting all day. May you discover yourself and your body anew as you practice these foam roller exercises and iliopsoas stretches! From this moment forward, strive to become whole in your body, mind and soul!